What has feathers, T-rex-like feet, and a hooked beak that could sever the spinal cord of a horse with one blow? 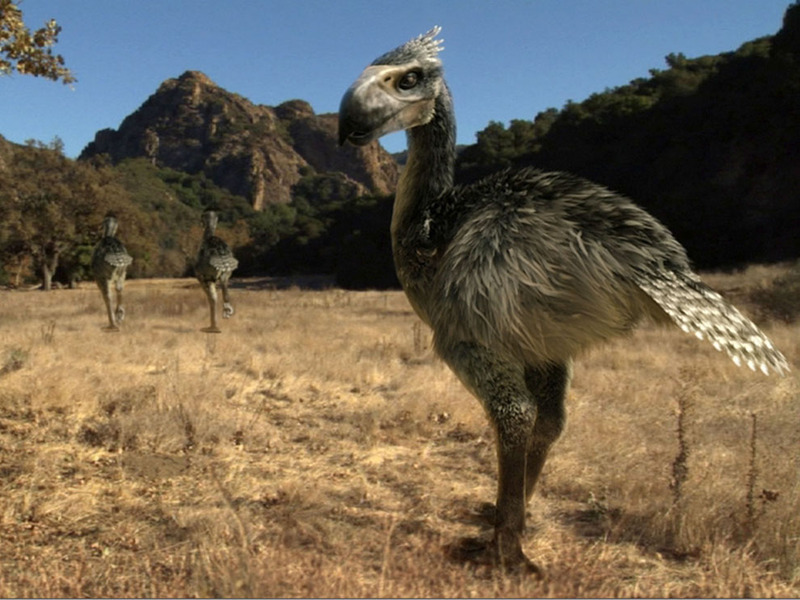 It might sound like a beast from a fantasy novel or horror film, but in fact it’s a creature that actually existed – the scariest bird you can imagine, scaled up to nightmarish proportions. Say hello to the terror bird. After a meteor wiped out Velociraptor and Tyrannosaurus rex, the terror bird family rose to occupy the niche of terrifying top predator in South America – a supremacy that lasted for almost 60 million years. During that time, 17 species in this family of lethal-beaked meatheads came and went, all the while gorging on a smorgasbord of plant-eating mammals until these scary birds disappeared about 2.5 million years ago.With few fossils documenting their existence, the behaviour of these birds is still somewhat of a mystery. What exactly did these feathered aggressors get up to, and why did they disappear? It’s a story that paleontologists have been painstakingly unearthing for over 100 years. What they’ve learned so far suggests the birds were absolutely dominant as predators, voraciously gobbling up prey across the continent.